DeKalb County Tigers came into Homecoming with a 2 and 5 record looking to shake off a couple of tough losses on the road. After winning the coin flip Macon Co. went 3 and out and DeKalb Co got the ball on their own 44. 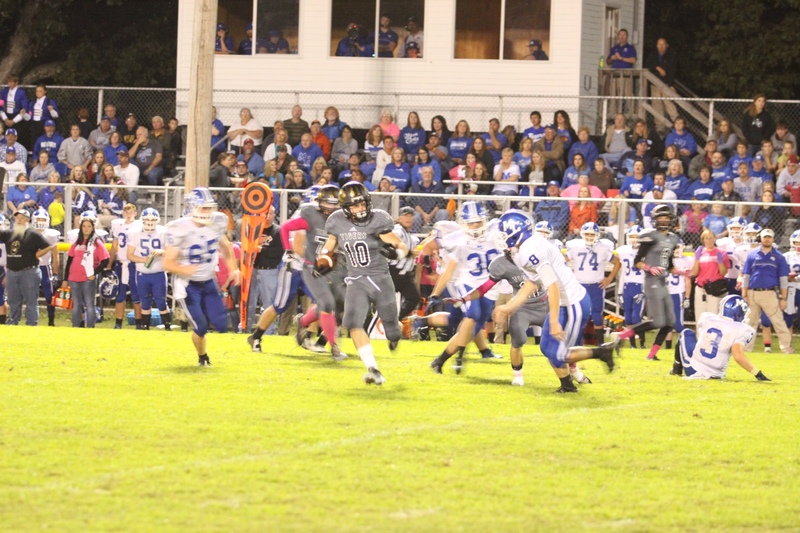 #2 Steven Jennings handed the ball to #10 Luke Boss for his first 2 of many yards on the night. After handing off to #10 Boss for a 12 yard gain and then a short 2 yard run, #2 Jennings pass was intercepted by Macon Co at their won 2 yard line. Thanks to a stingy DCHS defense Macon Co only moved the ball 12 yards before having to punt the ball away again and DeKalb took over on Macon County’s 47 yard line. 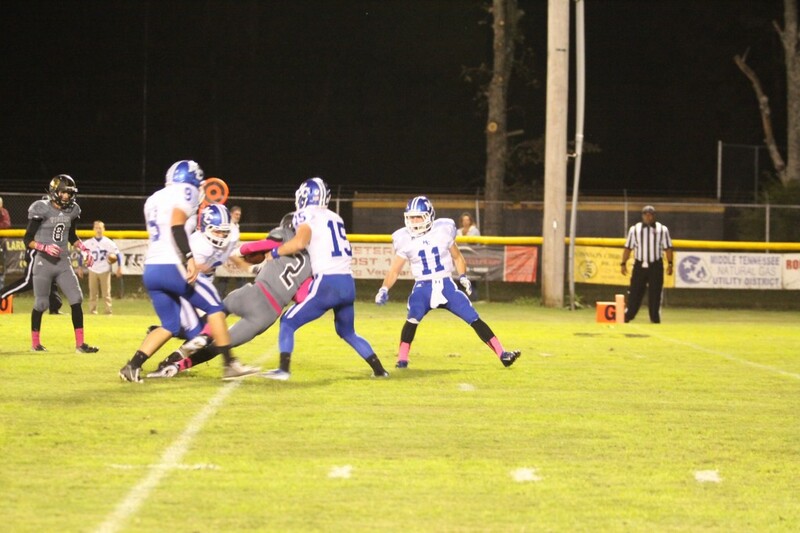 #2 Steven Jennings started marching the offense toward the endzone. Only 8 plays later DeKalb had the ball on the 6 yard line where #2 Jennings hooked up with #5 Lane Ball for the first score of the game. #13 Matthew Poss came on and made his first point after of 6 for the night and the Tigers led 7-0. The first quarter ended with DeKalb up 7-0 and their defense stopping Macon Co once again. DeKalb got the ball on their own 19 yard line and #2 Jennings started back to work. #2 Steven Jennings completed a 58 yard pass to #10 Luke Boss and then #2 Jennings kept the ball and scampered 29 yards for a touchdown. 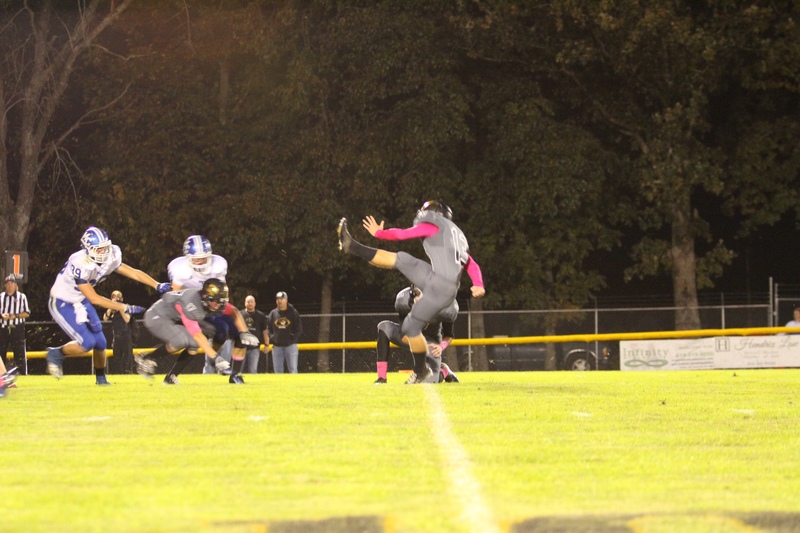 #13 Matthew Poss came on and kicked his second PAT and DCHS was up 14-0. Macon County’s only score came in the 2nd quarter so at half time DCHS led Macon Co 14-7 but that was as close as they would get. DCHS got the ball 1st in the 2nd half and on the 3rd play of the half #2 Steven Jennings completed a pass to #8 Aaron Patterson which resulted in a 73 yard touchdown then #13 Poss came on and put up his 3rd extra point to extend the lead 21-7. DCHS would not look back adding one more TD in the 3rd quarter and 2 TD’s in the 4th quarter to make the final score 42-7. 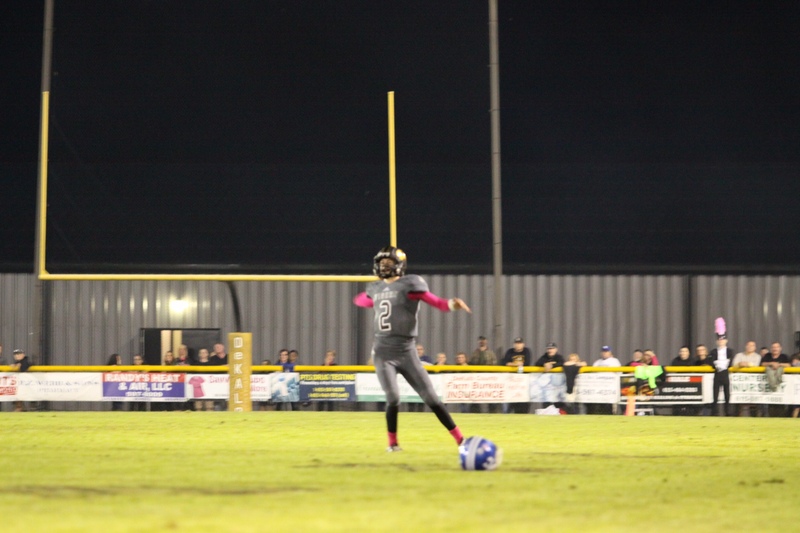 #2 Steven Jennings was 7 of 13 passing for 166 yards and had 104 yards rushing with 1 TD. 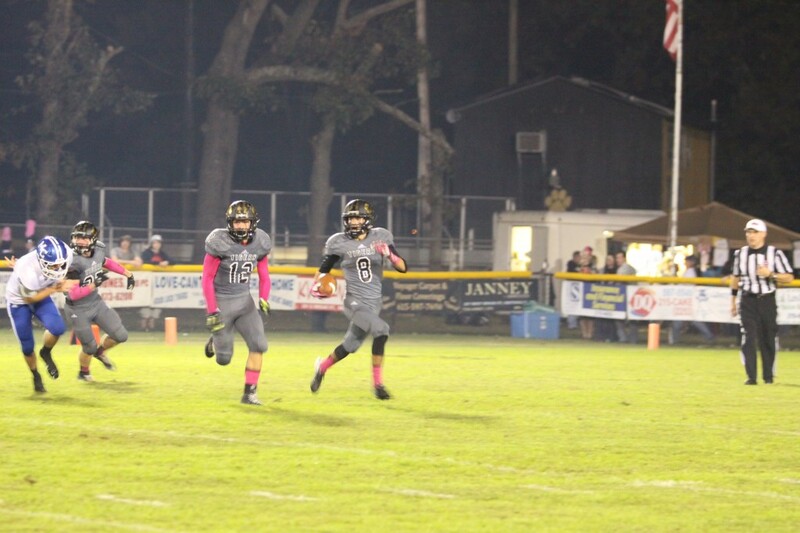 #5 Lane Ball had 1 reception for 6 yards and a TD. 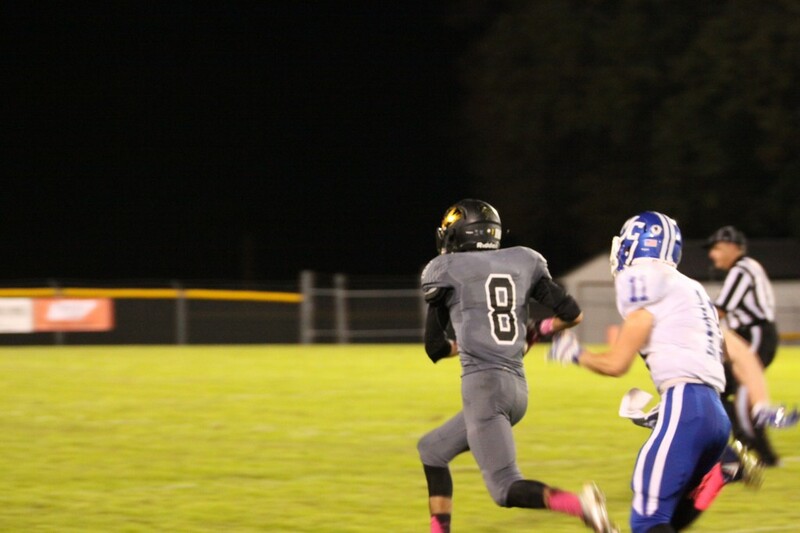 #8 Aaron Patterson had 1 reception for 73 yards and a TD. 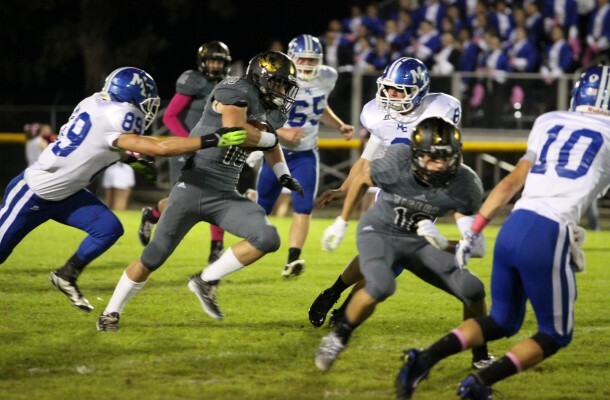 #10 Luke Boss had a huge night with 1 reception for 58 yards and 16 carries for 162 and 3 TD’s. 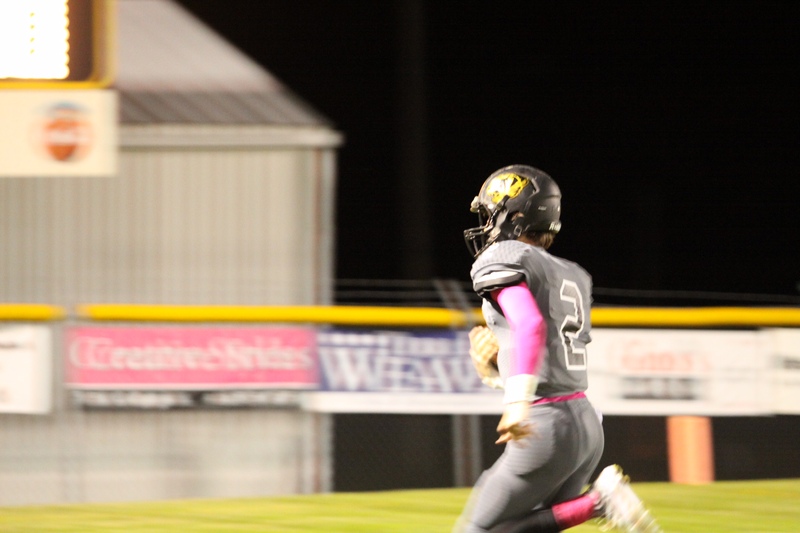 DeKalb County will host Upperman High School Friday night October 24th at 7:00 pm.